Dr Sandra Dowling, a lecturer in Disability Studies at the Norah Fry Centre for Disability Studies discusses deinstitutionalisation in the context of the Transforming Care Policy programme. People with learning disabilities are still, in some circumstances, leading institutionalised lives – the Transforming Care programme has a long way to go, and we must not forget those people with learning disabilities with the highest levels of ‘need’ who are experiencing the highest level of separation from an ordinary life. Recent decades have seen significant changes in the lives of people with learning disabilities in the UK. Once routinely institutionalised, distanced from home communities or their Right to a life like any other, people with learning disabilities were relegated to the shadows of the everyday and had limited opportunity to effect change. This article suggests these issues might still be affecting too many people with learning disabilities in 2018. Advocacy and activism amongst people with learning disabilities and their allies has been a powerful force in altering the opportunities available to some people. To be respected, to be heard, to have choice and to really have the chance of a life like any other have been common demands. For many people these demands, these requests, have to some extent been realised. 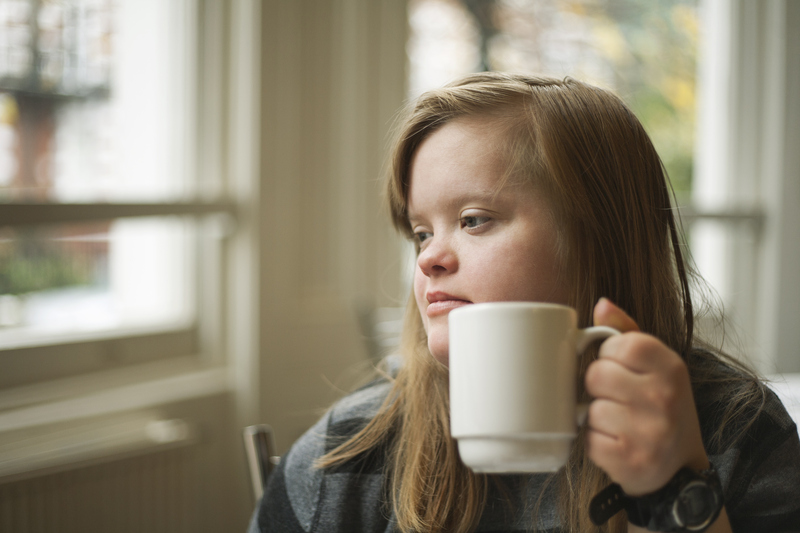 In the UK today some people with learning disabilities live in a home they have chosen, some have a job, some have regular contact with family and friends and some feel part of their community. Too many do not. The challenge to realise the fundamental human rights of this section of the population is ongoing. The urgency of the challenge is very much determined by personal position. If you are a person with learning disabilities or indeed an ally, these challenges are of course urgent. Although recent policy does commit to a transformation in social care for people with learning disabilities, urgency to transform this to practice is not consistently apparent. Major policy initiatives and legislation in recent years have produced a convincing rhetoric to support ideas of individual autonomy, inclusion and a role in decision making about important life matters. The Care Act 2014, for instance, details guidance for adult social care which, importantly, includes the principle of individual wellbeing. In practice wellbeing involves people having control of their day to day life, living in suitable accommodation and being able to contribute to society. It is a requirement of The Act that local authorities take people’s views, wishes and beliefs into consideration, and that their efforts support what people themselves want to achieve in their own lives. The Transforming Care Policy Programme produced a raft of reports, guidance and policy following the shocking abuse of people with learning disabilities residing in Winterbourne View Assessment and Treatment Unit. The overall aim of Transforming Care has been about improving health and social care services to enable people to live in the community, to have good support and to be close to home. It aimed to address the high numbers of people with learning disabilities living for too long in Assessment and Treatment Units (ATU), often at a long distance from their families and without adequate discharge planning. However, since the scandal broke in 2011, and following a robust policy response, little has changed. The numbers of people in ATU settings has remained stubbornly high, provision of sufficient support in the community has not met need and discharge remains an elongated process for many. Narratives of Home, a study funded by the NIHR School for Social Care Research, conducted within the Norah Fry Centre for Disability Studies (NFCDS), has interviewed 18 people with learning disabilities and three parents of people discharged from Assessment and Treatment Units (ATU) during the lifetime of Transforming Care. This narrative study has collected people’s stories of resettlement in the community following their hospital stay. Of those interviewed, 12 were male and 6 were female. Time spent in ATU settings ranged from 4 – 20 years. The legacy of institutional living clearly impacted on their resettlement experiences. The factors which are identified as important to individuals are just what you would expect. Security, choice, a valued social role, friendships, fun and the opportunity to take pleasure in things which are important to you. But what is different is that the people that we interviewed, even though living in the community, still often live within parameters defined by others. Some described their attempts to ‘get out’ of the ATU by ‘doing what the doctors said’ or ‘just do what you are told, keep your head down, get through all the programmes and hope for the best’. These experiences travelled beyond the walls of the ATU into their now ’independent’ lives in the community. In interview people checked with present support workers whether they were saying the ‘right thing’, or whether it was ‘ok to say this’. Some were so heavily medicated that they could not remain awake throughout the interview. Choice and autonomy was found in things such as choosing how to decorate your home, or what to have for a meal. A deeper sense of independence of thought and action though, remained elusive for some. Institutionalisation, just as a hundred, or fifty or twenty years ago produces the same results. It dis-empowers individuals, depleting independence of thought and sense of self. A good life happens at a deeper level than what can be seen on the surface of community living. The need to address issues of identity and equality remain pertinent. Deinstitutionalisation remains a goal. This entry was posted in Norah Fry Research, School for Policy Studies, Uncategorized and tagged Assessment and treatment unit, ATU, Care Act, institutionalism, learning disabilities, Narratives of Home, Transforming Care, Winterbourne care home by policystudies. Bookmark the permalink.